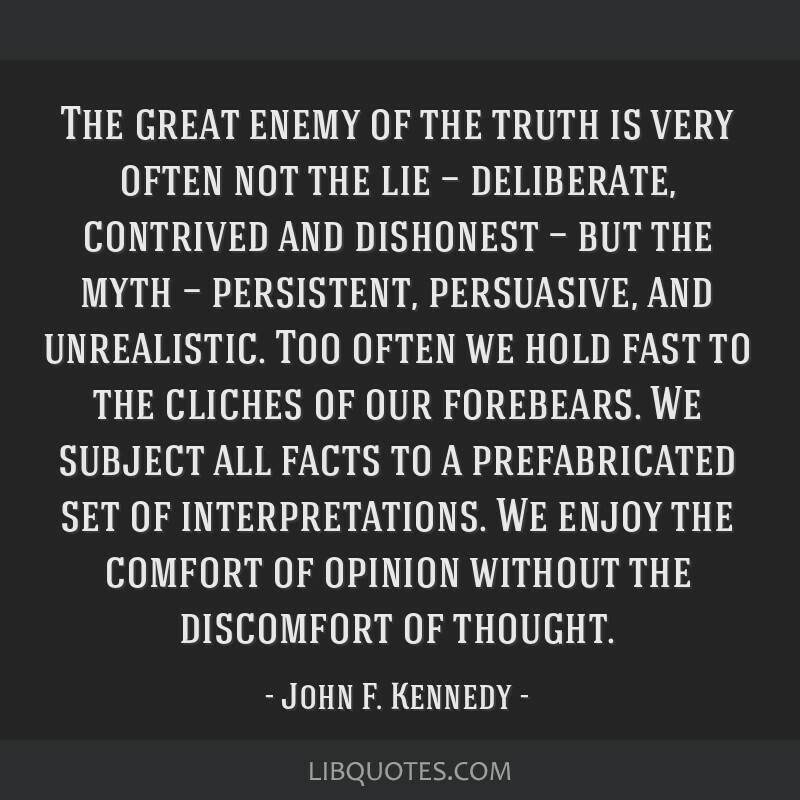 The great enemy of the truth is very often not the lie — deliberate, contrived and dishonest — but the myth — persistent, persuasive, and unrealistic. Too often we hold fast to the cliches of our forebears. 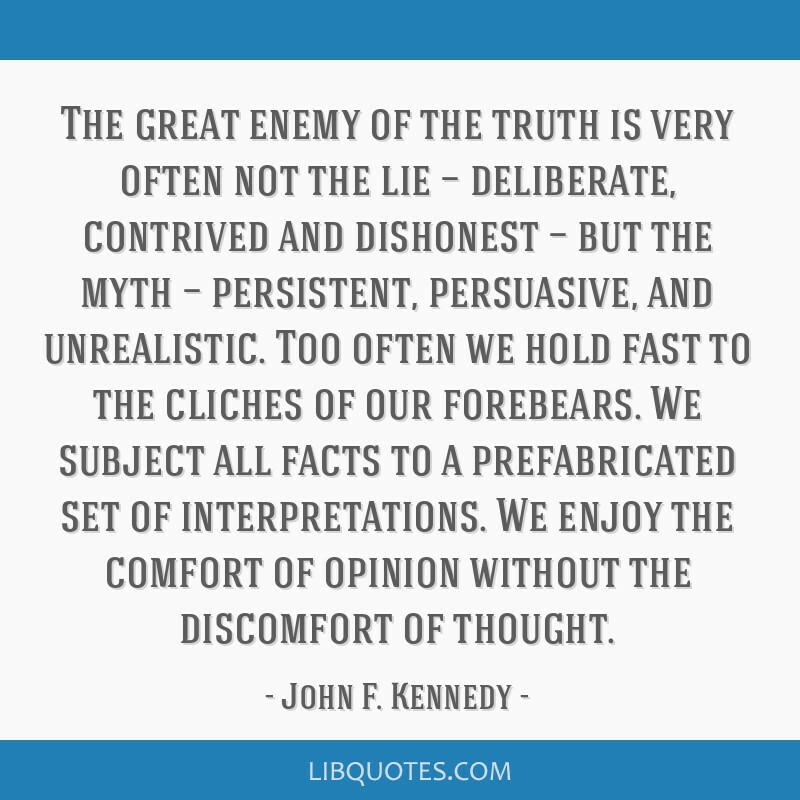 We subject all facts to a prefabricated set of interpretations. 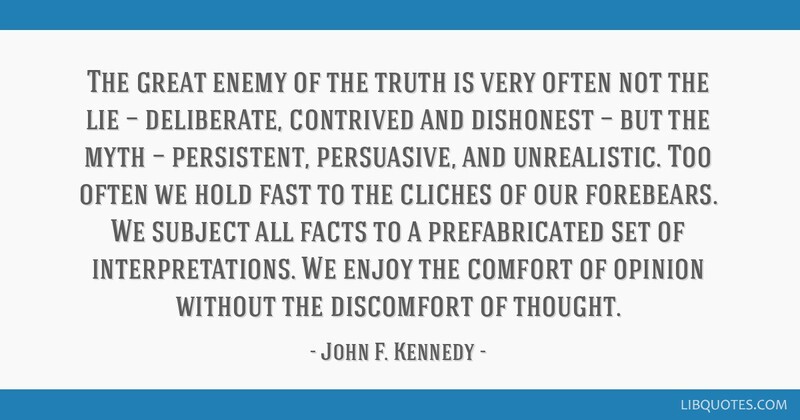 We enjoy the comfort of opinion without the discomfort of thought.